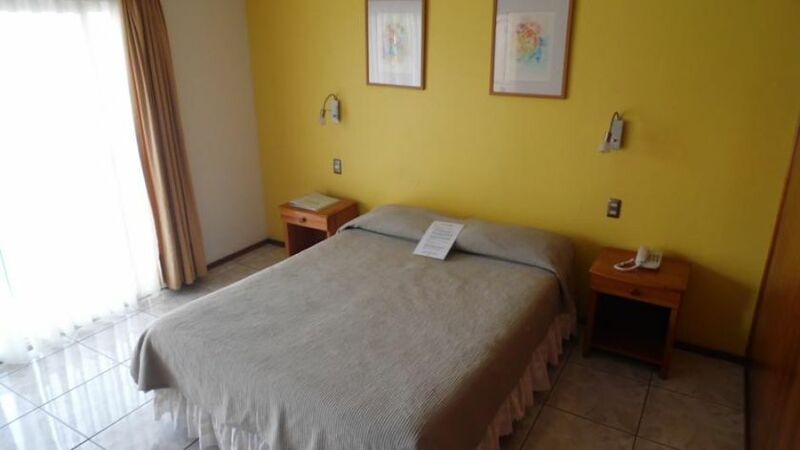 3 ESTRELLAS "With the owners present in order to offer the best possible service, the Hotel Manutara is the top-of-the-line option for maximum enjoyment during you..."
An experience of more than twenty years, have allowed us to assure to our visitors the best service and the necessary advice to make your stay an unforgetable experience. 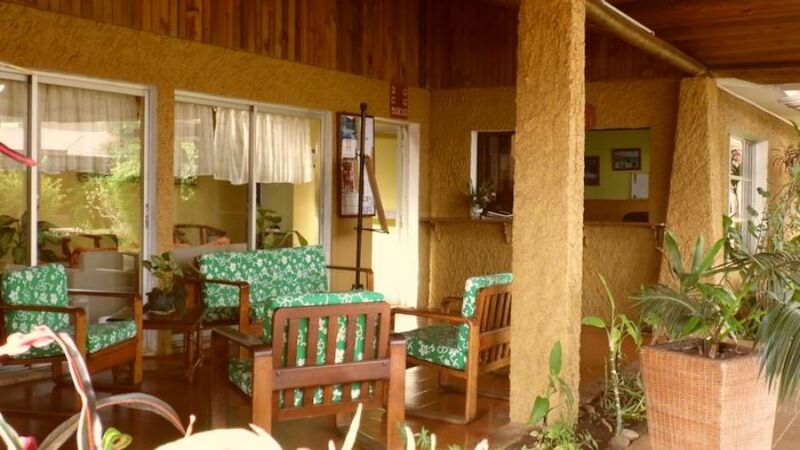 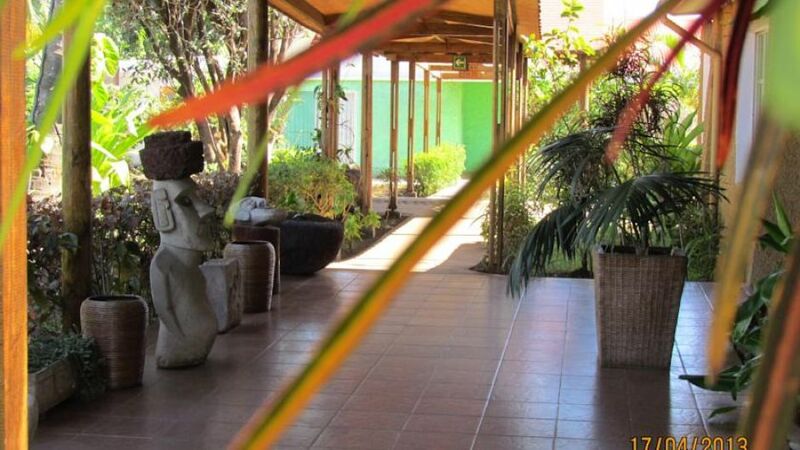 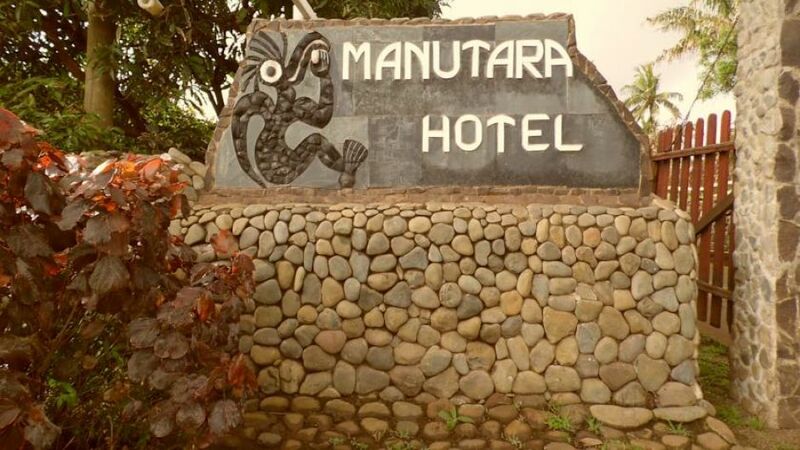 Located just a few minutes from downtown Hanga Roa, the Hotel Manutara offers all the comforts you need. 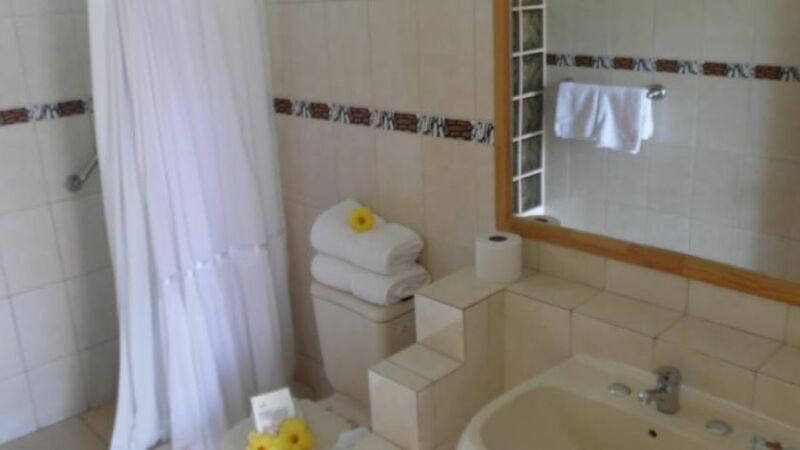 Enjoy our swimming-pool, beautiful tropical gardens, 25 sheltered rooms, singles, doubles, triples, matrimonials and quadruples, of turistic category with private bathroom and the most exquisite menu of tipical plates served internationaly at the interior extensive dining-room or at the garden terraces. 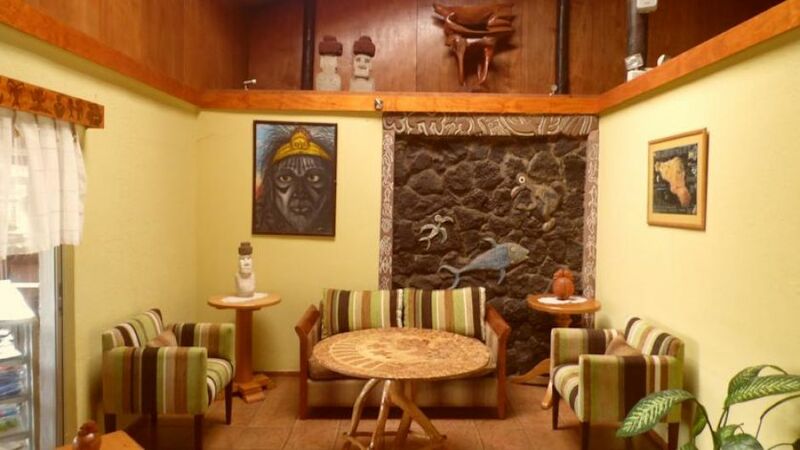 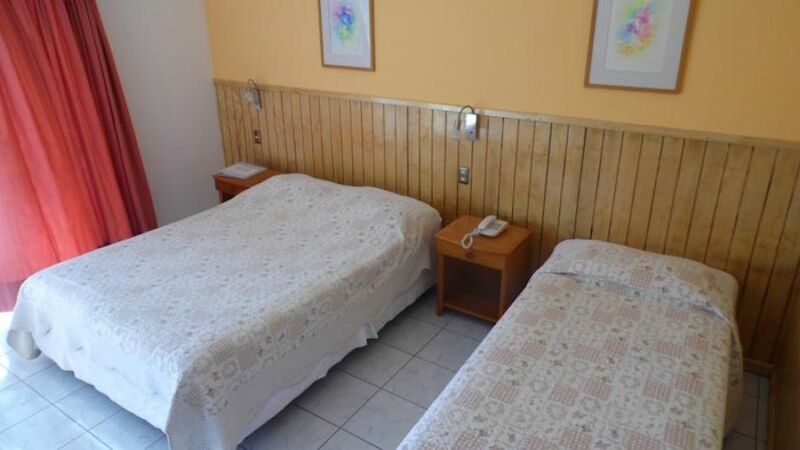 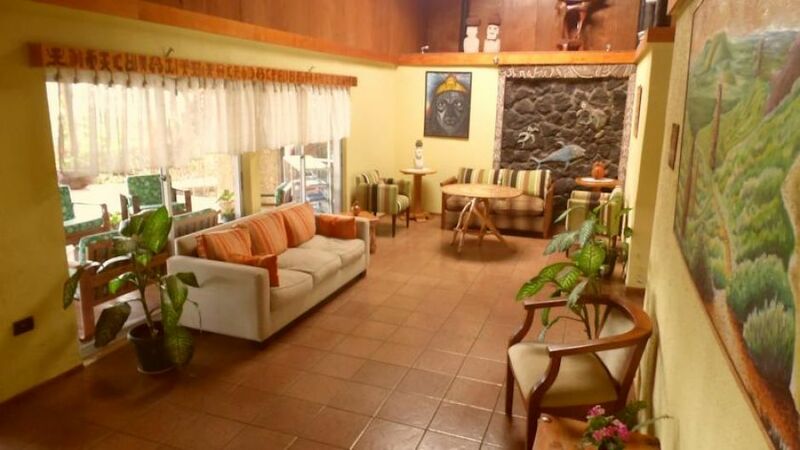 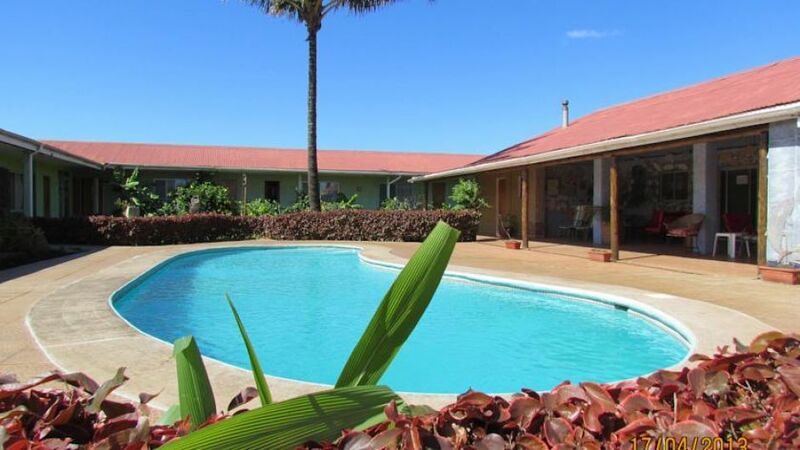 In Hotel Manutara we take care of offering to our visitors, the most complete variety of guided tours and excursions to enjoy the maximum of all the sites of archeological interest or recreations of Easter Island. 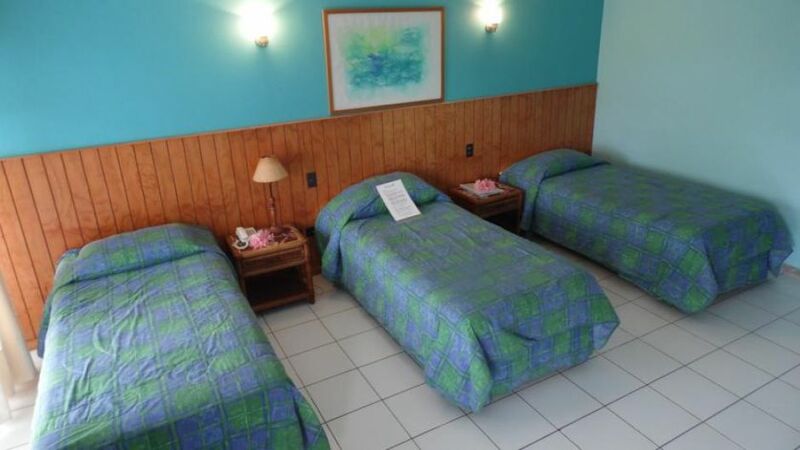 We offer such services as rent-a-car, fax, television, bar, room service, etc, and we accept all kinds of credit cards.